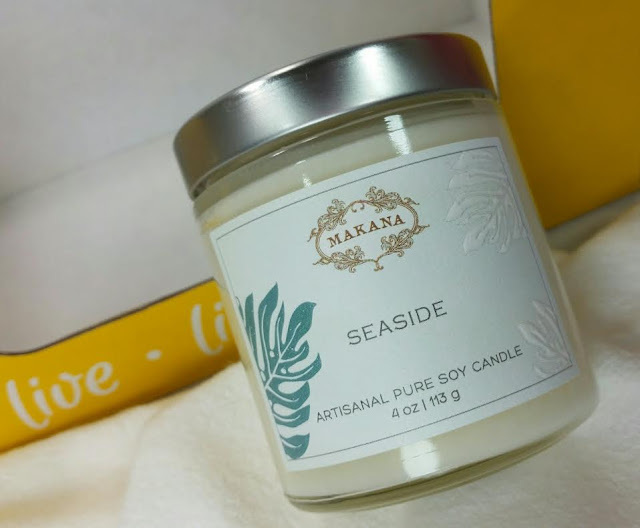 Makana "Seaside"- This pure soy candle has notes of fresh sea salt with hints of lush island foliage and exotic blossoms. It smells like a day at the beach. I like it! All ingredients, vessels and labels are mindfully made in the USA. Vegan and cruelty-free. 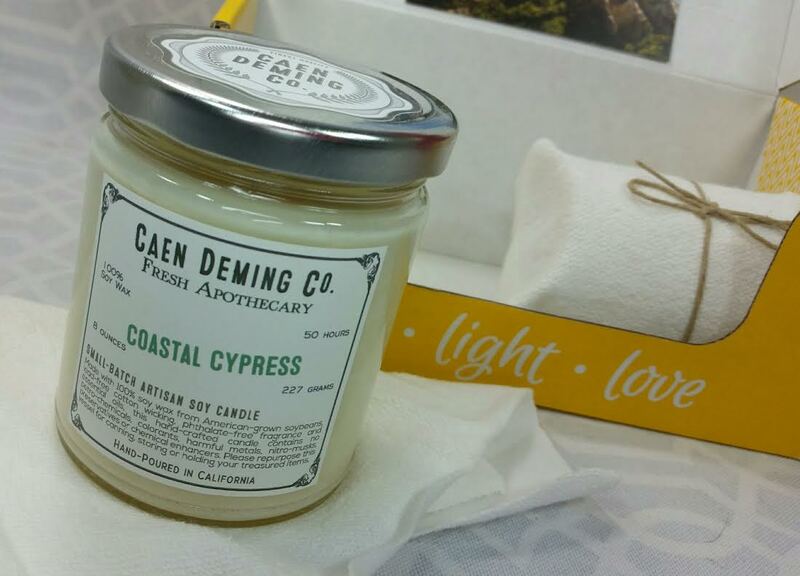 Caen Deming Co. "Coastal Cypress"- Also by Makana, Caen Deming Co. is their new brand of apothecary style candles. This is a 100% soy wax candle with 50 hours of burn time. 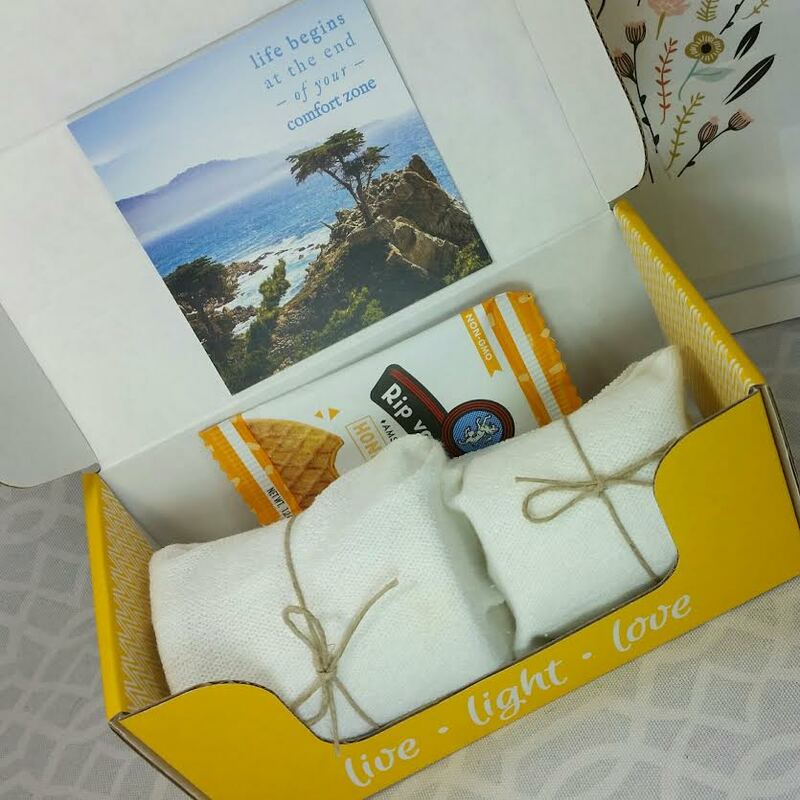 It's made from American-grown soybeans, has a cotton wick, phthalate free fragrance and essential oils. It smells heavenly! I love the hint of pine mixed with the seaside citrus. 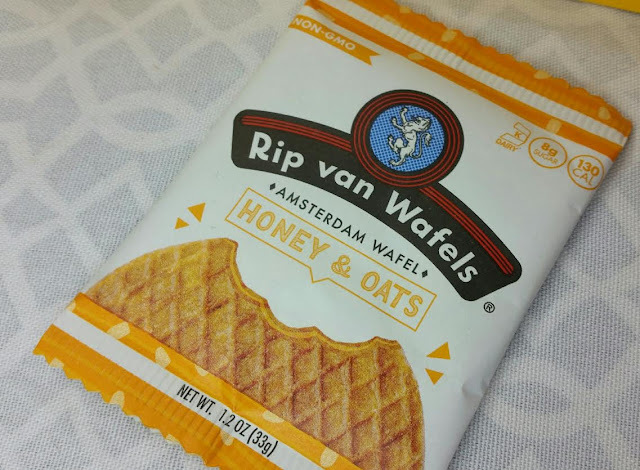 Also included in the box was a little stroopwafel by Rip van Wafels. It's a fun and unexpected extra. VERDICT: I love knowing that such care is taken to support local candlemakers while maintaining a high standard for clean burning, healthy candles. No crazy dyes, no eye-watering synthetics and I can happily reuse the glass jars! I've been making a point to do that. I set the jars in gently boiling water to get whatever wax is left in the bottom out and then wash them. I've used old candle jars for new candles, homemade jam and dog treat jars. So handy! If you would like to subscribe to Vellabox, you can do that here. 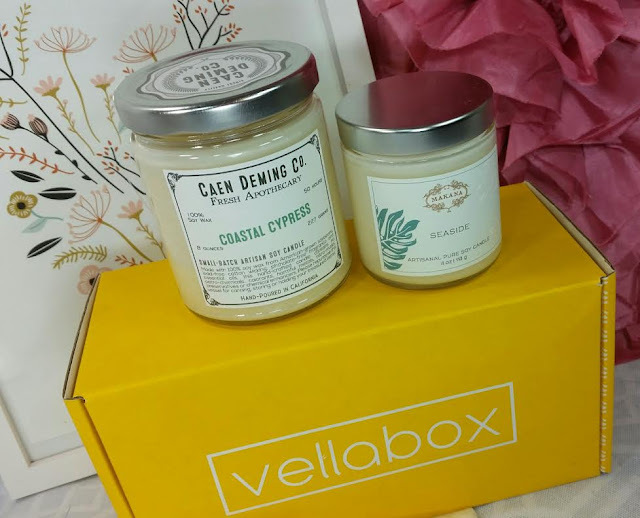 What do you think of Vellabox? Do you prefer to choose your own candles or be surprised? Hi Sarah! Nice review :) Looks like the awesome box! Fyi the links aren't showing in your post! I wish you could smell the candles, they're amaaaazing!